Deciding what to eat for breakfast. We sometimes compare breakfast foods. She thinks my choices are healthy. I often have toast with butter and honey on it, plus half a glass of orange juice. What do most American’s eat for breakfast? I told her people are in a big hurry in the mornings. Too many Americans eat cold cereal. She wonders if Americans really eat the way shown on TV. Maybe most American’s breakfast is 2 eggs, 2 pieces of toast, 3 pieces of bacon, and one cup of coffee. Everyone at my house eats different things for breakfast. My husband likes fried eggs, but I feel better if I eat hot cereal. It depends on my planned activities. Before I run, it is best that I not eat greasy foods. Americans might have trouble asking for cold cereal in Taiwan. Taiwanese people don’t like cold food, so this kind of cereal is called instant cereal. I do admit to buying cold cereal sometimes, though. Sometimes I also eat cold cereal; cold cereal is a very good midnight snack. The next meal is actually breakfast! 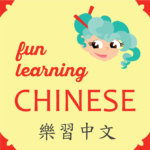 ❶ 過 (guo4) is a common character/word with several related meanings that I learned a lot about when discussing people meddling in your life in this blog post. ❷ What the Chinese language is lacking in words for oven cooking, it makes up for in variety of words for “to fry.” I have now learned you can “stir fry” 炒 (chao3), fry without a lot of oil 煎 (jian1), or fry with lots of oil 炸 (zha2 or zha4). ❸ Toast and bread are foods introduced by more western cultures. 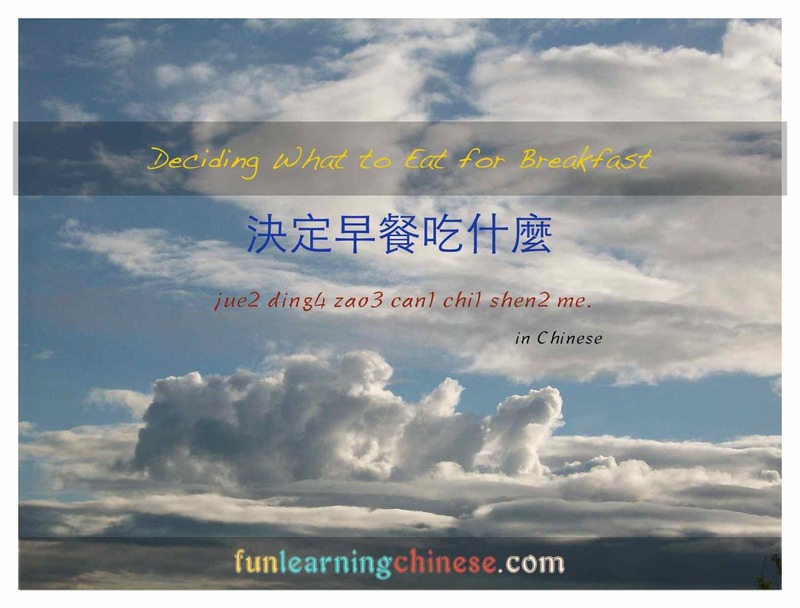 Because of certain original misunderstandings, in Chinese it must be specified that the toast is actually toasted, using the word 烤 (kao3), which sounds repetitive to most native English speakers. ❼ I reviewed an important grammar structure here. If the 以前 (yi3 qian2), meaning “before,” is placed in front of the action, it means “I went running before or previously.” But I wanted it to say “before I go running, I had better…” So you can see that is opposite of the common English order.